Hello, all! 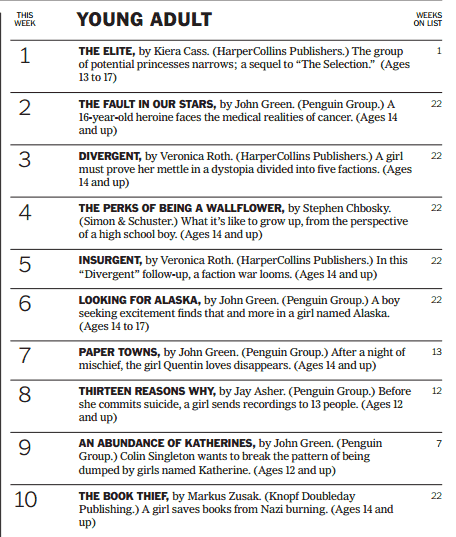 I just wanted to update you on a few things in The Selection world. First, yes, back from Brazil, which was awesome. Hoping to find time to make a video, but not sure it'll happen! Maybe a blog post will be the best I can do. And France is just around the corner... like... this time next week holy poop! Second, if you didn't know, there's a fanart contest happening on tumblr! Hop on over and make your best art. Prizes include signed books, a tumblr follow from me, and a one-on-one chat. And three, there will be more to come from other places, but, for now, here is your first deleted scene from The Elite! You can find it under the bonus content section for The Elite listed on my BOOKS page. Enjoy! I’m so excited to finally announce that I’M COMING TO BRAZIL! I’ll be at the FLICA Book Festival on October 25th! I will also be heading to Sao Paulo around that time as well. I don’t have any info on specific events or signings at the moment, but as soon as the plans become more solid, I’ll share. For now, please refer to the FLICA web site for any questions you have, and I will probably have more updates once I get back from the Philippines. One trip at a time! That said, I seriously can’t wait to come. My Brazilian fans have been some of my most enthusiastic, and I cannot wait to meet/hug you. See you in October! Well, here's what it says on GoodReads. Enjoy! "Thirty-five girls came to the palace to compete in the Selection. All but six have been sent home. 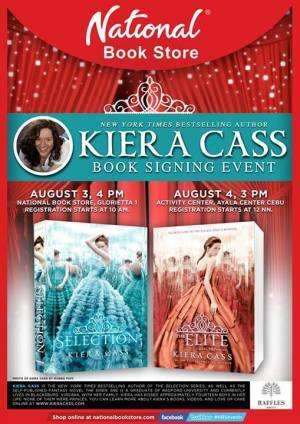 And only one will get to marry Prince Maxon and be crowned princess of Illea. America still isn’t sure where her heart lies. When she’s with Maxon, she’s swept up in their new and breathless romance, and can’t dream of being with anyone else. But whenever she sees Aspen standing guard around the palace, she is overcome with memories of the life they planned to share. With the group narrowed down to the Elite, the other girls are even more determined to win Maxon over—and time is running out for America to decide. Just when America is sure she’s made her choice, a devastating loss makes her question everything again. And while she’s struggling to imagine her future, the violent rebels that are determined to overthrow the monarchy are growing stronger and their plans could destroy her chance at any kind of happy ending." 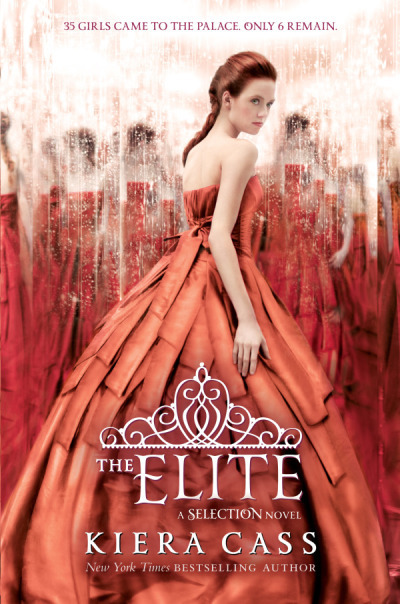 So I just wanted you to know: THE COVER FOR THE ELITE WILL BE REVEALED OCTOBER 17TH!